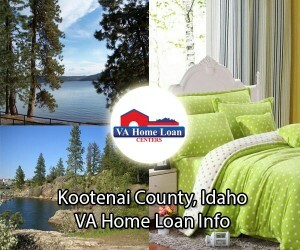 The 2019 $0 down, VA home loan limit for Kootenai County is $484,350. Kootenai County is a large county located on the western edge of Idaho. The county was named after the indigenous people of the area, the Kootenai Tribe. The Idaho State Legislature officially created Kootenai County on December 22, 1864. Home to several large bodies of water, Kootenai County has a huge boating community. The county encompasses a surface area of 1,316 square miles, 1,244 square miles of which is land, and 71 square miles of which is water. With a total population of 147,326, including a veteran population of 13,296, Kootenai County is the third-most populated county in Idaho. Kootenai County boasts the largest boating community in the state of Idaho, due to the abundance of beautiful lakes, rivers, and streams. Lake Coeur d’Alene is one of the most popular lakes in the county. Lake Coeur d’Alene spans 25 miles and possesses some of the most beautiful views in Kootenai County. For those warm summer days, be sure to bring your friends and family to Lake Coeur d’Alene to enjoy the weather. The lake is a feeding area of bald eagles and many other species of birds. Hiking is very popular in Kootenai County. The North Idaho Centennial Trail is a paved hiking/walking trail that spans 24 miles. The trail can be used for hiking, bike riding, and even driving motorized vehicles. The North Idaho Centennial Trail provides excellent views of the Spokane River and the wildlife that lives around it. The Trail of Coeur d’Alene surrounds the Coeur d’Alene Lake. The trail is 73 miles long and has spots for hikers of all different skill sets. Beautiful species of wildflowers and butterflies live and grow along the Trail of Coeur d’Alene. The City of Coeur d’Alene is a continuously growing community. Several businesses, including Hampton Inn, Regal Cinemas, and many restaurants have opened doors in the thriving city. The city was even featured in Newsmax Magazine’s list of the “Top 25 Most Uniquely American Cities and Towns.” The school district is made up of two high schools, three middle schools, and ten elementary schools. There are also several technical colleges and universities located nearby. A Veterans Services Office and several American Legions are located in Kootenai County. Benefits offered to veterans living in Idaho include disability compensation, burial benefits, pensions, and more. The median household income is $49,002, and the median housing cost is $188,800. 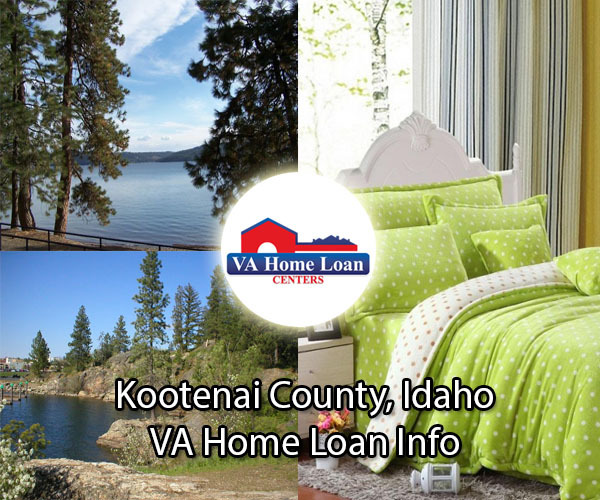 For help finding a VA-approved property in Kootenai County, contact VA Home Loan Centers. Obtaining VA condo approval is easy! Let VA Home Loan Centers help you obtain condo approval today.